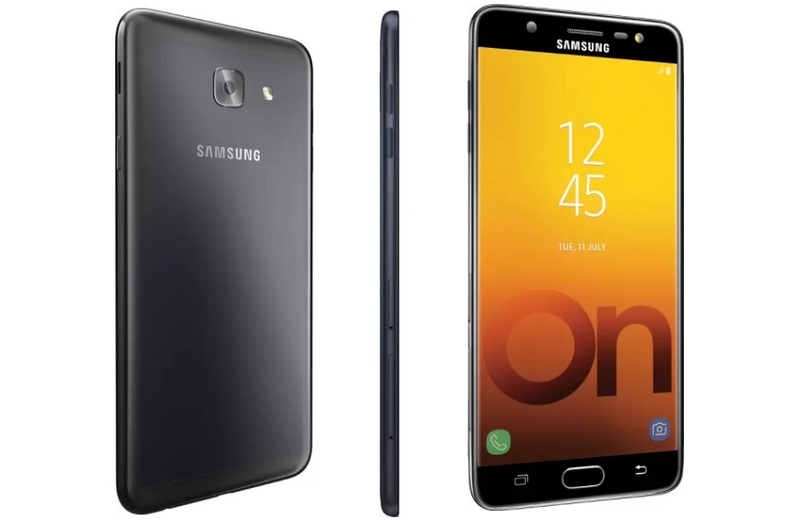 Samsung on Friday launched its new Galaxy On Max smartphones in India. The Galaxy On Max will be a Flipkart exclusive and it’s now listed on the site as ‘Coming Soon’. As some of its biggest highlights the Galaxy On Max features a 4GB RAM, a 5.7-inch full-HD display, front flash, large aperture cameras, and support for Samsung Pay Mini, which I think are quite impressive features for a Samsung smartphone at its price. The Samsung Galaxy On Max will be available via Flipkart, but there is no exact release date has been listed yet, if you want to get notified about its availability you can simply click on the notify me button by entering your email ID on the listed page. The Galaxy On Max smartphone sports 13-megapixel camera with LED flash both on the front and back coupled with a f/1.9 aperture lens on the front, while the rear sensor is coupled with a f/1.7 aperture lens, which the company claims can capture better images in low-light conditions. The smartphone comes with 32GB of inbuilt storage that’s expandable via microSD card (up to 256GB). The Samsung Galaxy On Max sports a fingerprint sensor embedded on the home button. It also supports Samsung Pay Mini, that supports UPI-based payments and integrates a mobile wallet. For connectivity options, the smartphone includes 4G VoLTE, Wi-Fi, Bluetooth, a 3.5mm audio jack, and a Micro-USB port. It weighs 178 grams and measures 156.6×78.7×8.1mm. It is powered by a 3300mAh battery. The Samsung Galaxy On Max has been priced at Rs. 16,900 in India, and it will be available in Black and Gold colour options in the country. For Galaxy On Max I think the Moto G5 Plus could be a biggest rival which also offers great value for your money including great specs and features on board at a similar price point. What you think about Samsung’s new smartphone, would like to buy the Galaxy On Max? do let us know your views in the comments section down below.